FUMC will be hosting the Lent Ecumenical Service & Soup Supper next Wednesday, April 10th. The service begins at 6 pm with a soup supper in the Fellowship Hall immediately following the service. Please plan on joining us and consider bringing your favorite soup to share! 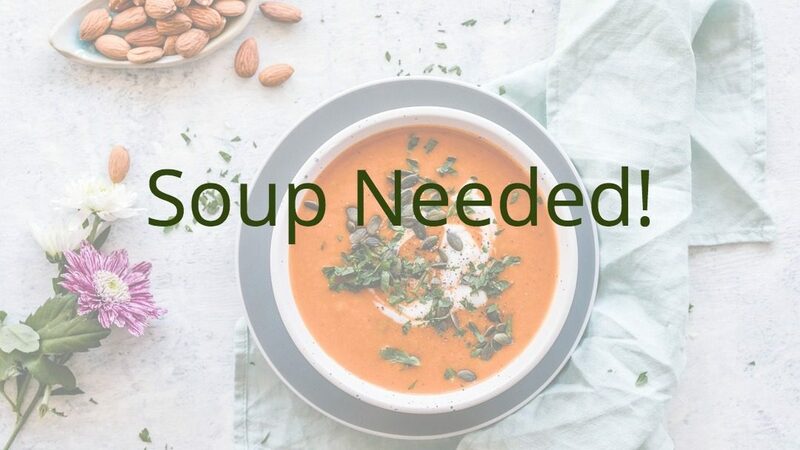 If you plan on bringing a crockpot of soup or a loaf of bread, please let us know by signing up on the green form located in the atrium or by calling the church office at 247-4213 or by email at jake@fumcdurango.org.